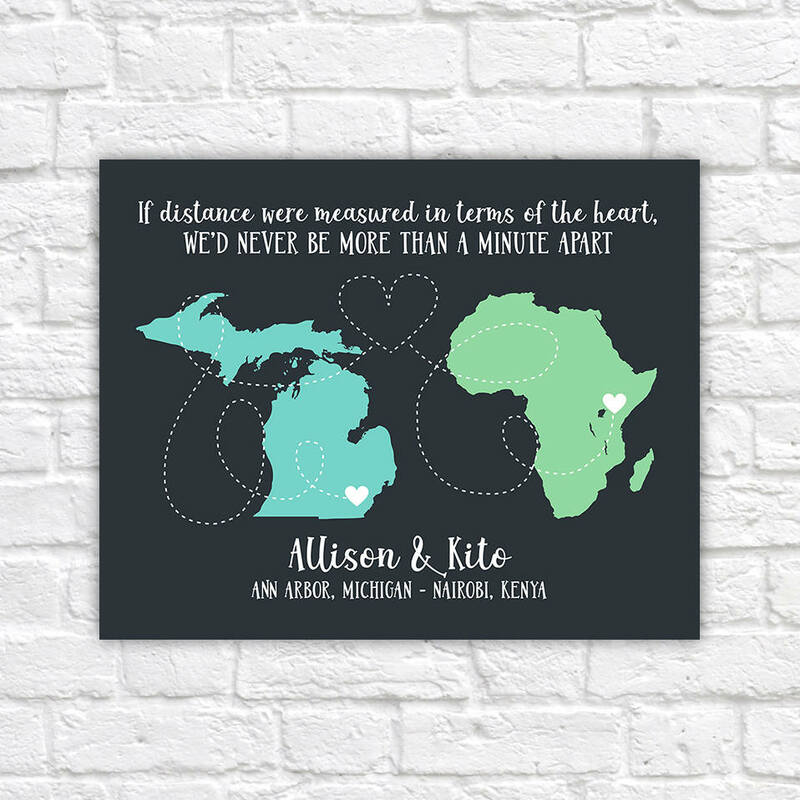 Personalized Long Distance Relationship Map Art! Choose any locations! PHOTO PRINT: Your Print on a semi-matte, archival Photography paper. (The most popular option) Easy to pop into any frame! Interested in having me frame it for you? Please see options further down in this listing. PRINT MOUNTED: A Photo Print mounted on a 3/16" thick, white foam board. This option is ideal for those wanting a blank map to stick pins into. FINE ART PAPER: Your print on Premium Giclee paper. This is a thick, luxurious paper with a matte finish and watercolor like paper texture. 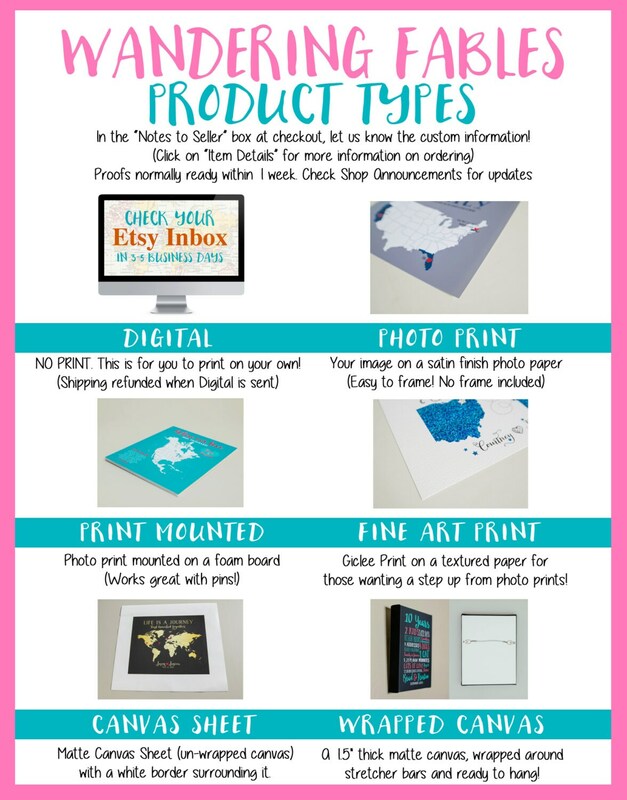 A great option for those wanting something a step above Photo prints. CANVAS SHEET: Your image printed on a Matte Canvas Sheet (unwrapped canvas) with a white border surrounding it. The canvas sheet has a matte protective coat to preserve the image and matte appearance. WRAPPED CANVAS: A 1.5" thick canvas, wrapped around stretcher bars and ready to hang! 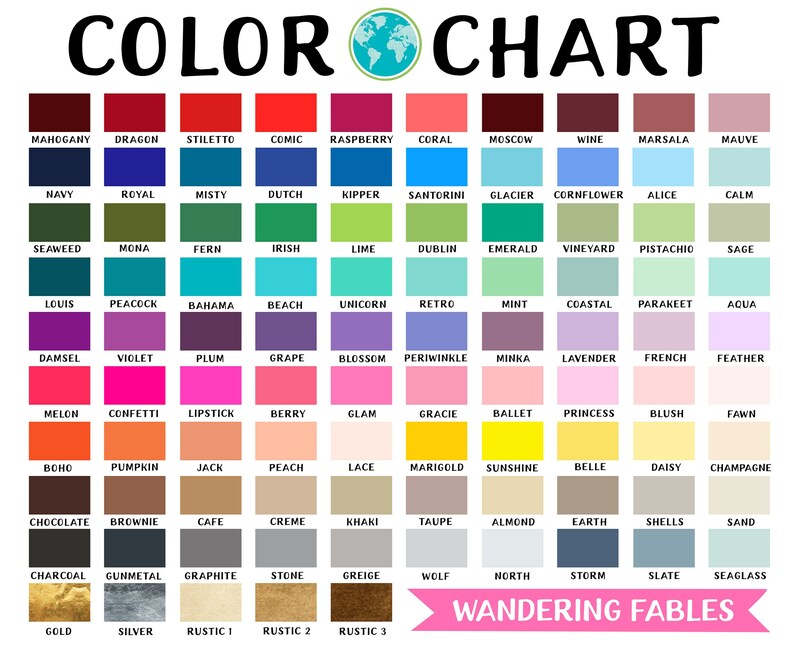 Thanks for visiting Wandering Fables! 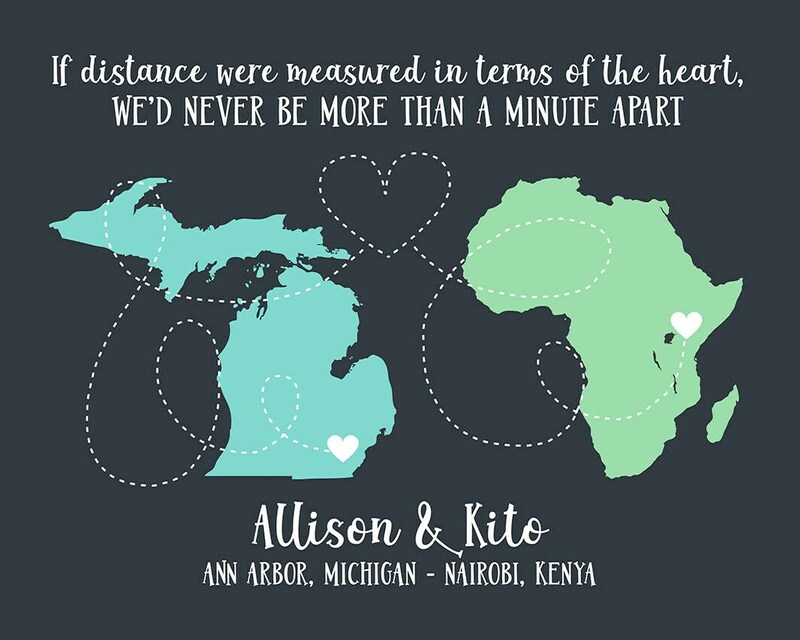 Continue shopping: www.etsy.com/shop/wanderingfables for more Maps, Wedding Gifts and Art for all other special individuals in your life!